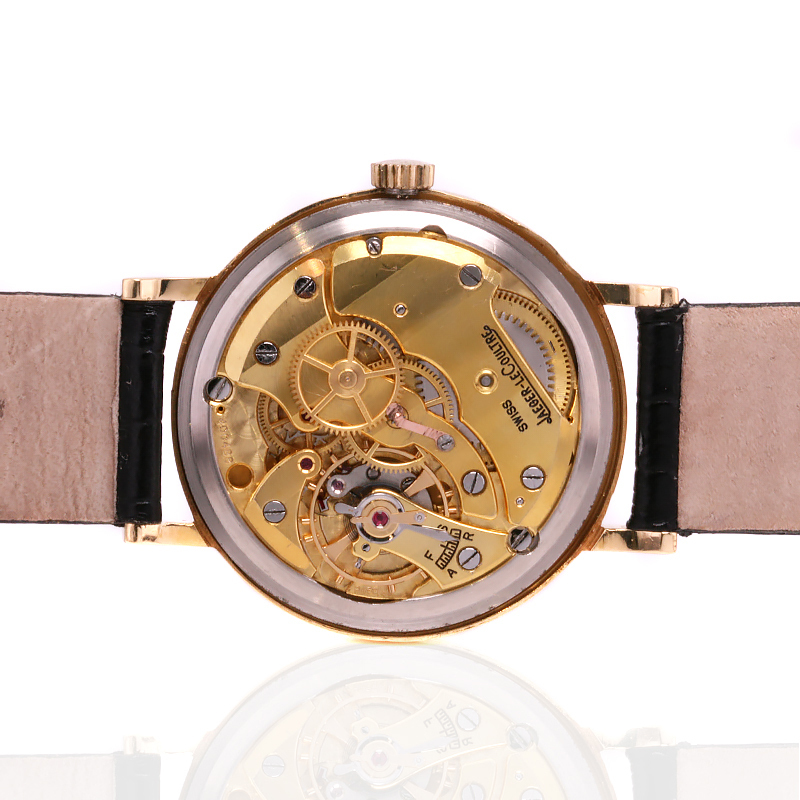 Product code: W1152 Categories: Other Watches, Watches. Here is such a stylish and elegant 1950’s 18ct rose gold vintage Jaeger LeCoultre watch that has all the look and character that a vintage watch should have. Jaeger LeCoultre are regarded as one of the finest watch making companies in the world, and have invented such iconic watches as the Jaeger LeCoultre Reverso, Memovox and Futurematic to name but a few. 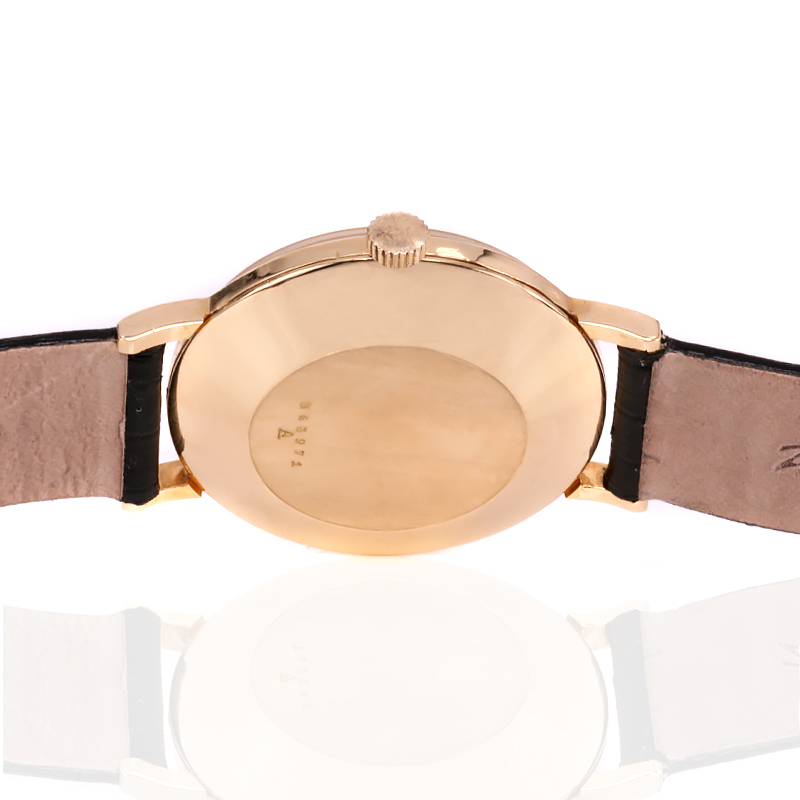 This one is in an elegant 18ct rose gold case with the colour of the gold that wonderful warm colour that only rose gold has that matches beautifully with the colour of the dial. With centre sweep seconds and a combination of numbers and index markers, the case measures 35mm across plus the crown and sits so well on the wrist. Inside is the brilliant and highly reliable manual wind Jaeger LeCoultre calibre P450/4c which has just come back from a full service and comes complete with our twelve month warranty. If you or someone close to you has been after a lovely vintage watch, then this vintage Jaeger LeCoultre watch may just be the one. 1950’s 18ct rose gold vintage Jaeger LeCoultre watch in full working condition. This Jaeger LeCoultre has the brilliant and highly regarded Jaeger LeCoultre calibre P450/4c manual wind movement that is in full working condition.